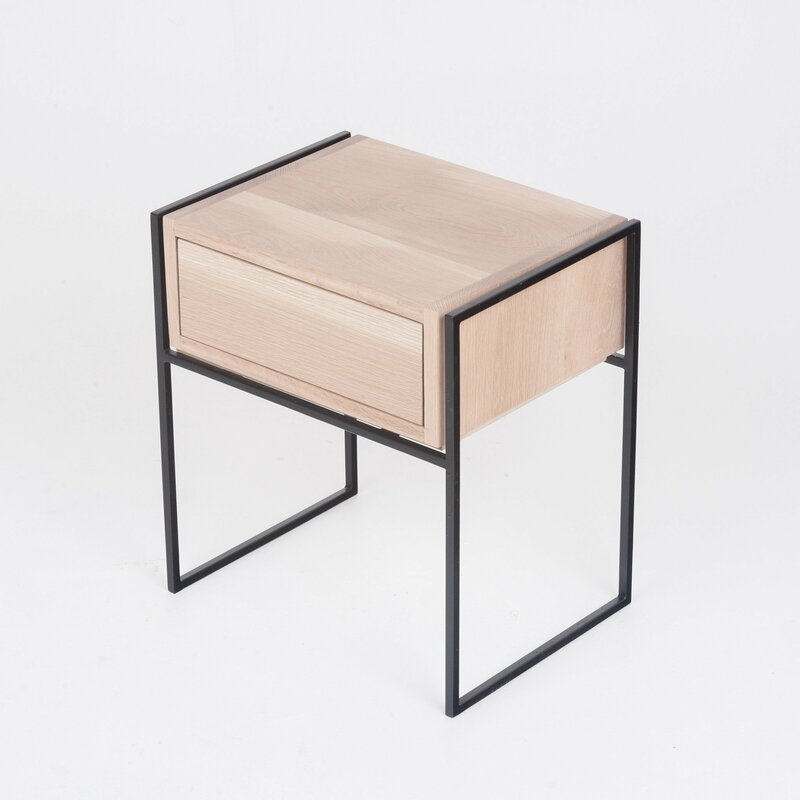 Heimur’s Bedside Drawer is a clean and simple solution to an organised bedroom. Organisation is key in the modern world so let the Heimur Bedside Drawer add an element of functional style to your bedroom space. This Scandinavian inspired furniture piece is made out of powder-coated steel, solid American Oak timber and push-to-open drawer runners. The Bedside Drawer by Heimur also comes in 3 different powder coat finishes, including white, navy and matt black. The lead time of the Bedside Drawer by Heimur is 2-6 weeks. Delivery of the Bedside Drawer by Heimur is between normal business hours of 9AM to 5PM Monday to Friday. International shipping of the Bedside Drawer by Heimur is available upon request. Please contact The Local Project team at marketplace@thelocalproject.com.au for a quote. The Bedside Drawer by Heimur comes with a 5 year structural warranty.